I’ve been working at Kaspars Special Events & Catering for close to a year. Most of my work is in the office and from time to time, I miss the hands-on activities of the kitchen. Today, I took a break and stepped into the kitchen to roll some dolmas. Kaspar’s version is vegetarian. 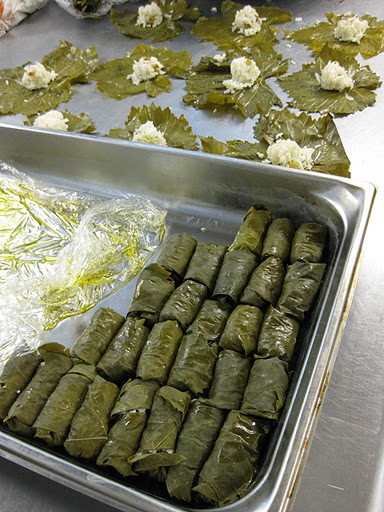 Grape leaves are stuffed with rice, raisins, lemon zest, feta cheese and dill. They are then baked and enjoyed by many! 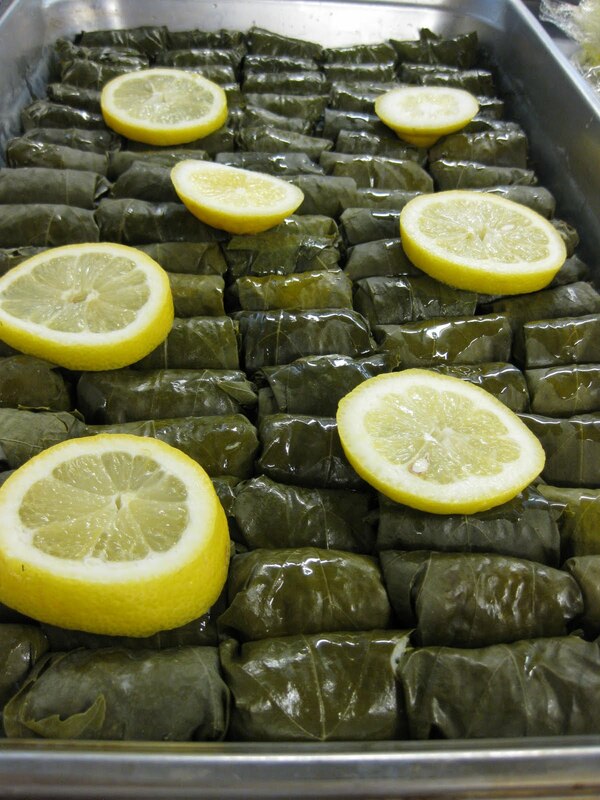 Once rolled, the dolmas are covered with slices of lemon, an optional drizzle of olive oil. Next, put a layer of parchment paper and cover with foil. 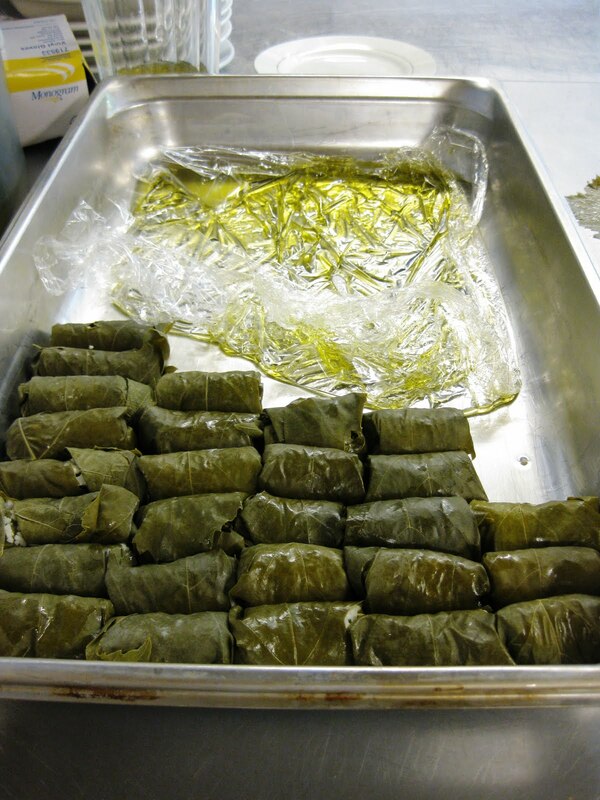 Dolmas are baked and can be served either hot or at room temperature. Tzatziki, a traditional Greek yogurt and cucumber dip makes for a nice accompaniment.